In all affairs, it’s a healthy thing to hang a question mark on the things you have long taken for granted. 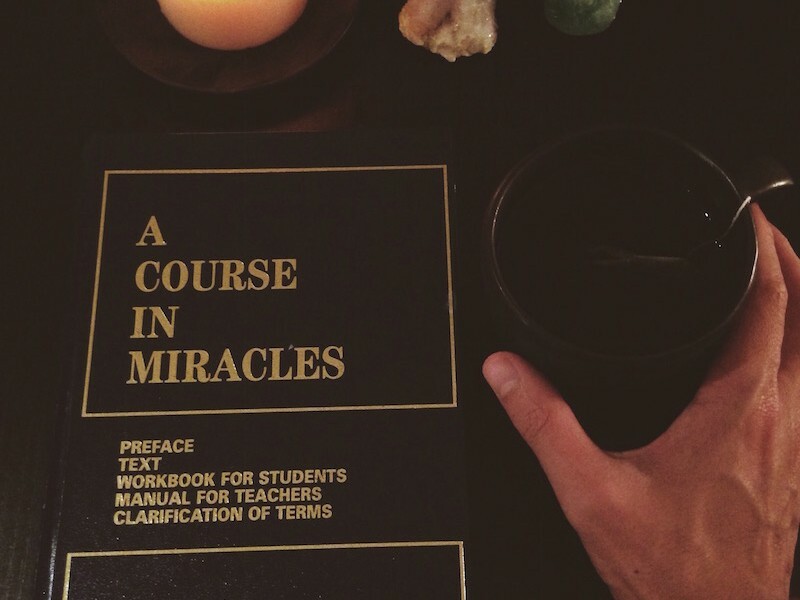 Today’s lesson (A Course in Miracles, Lesson 3; Check out the miracles tab for my intro to this blog series and all other posts) is similar to Lessons 1 and 2 but goes a step further. The mental exercise: Look around the room you’re sitting in and tell yourself, “I do not understand anything I see in this room.” That desk? That window? That person I see looking back at me in the mirror? I don’t understand it. The point of the exercises is to help you clear your mind of all past associations, to see things exactly as they appear to you now, and to realize how little you really understand about them. It is therefore essential that you keep a perfectly open mind, unhampered by judgment, in selecting the things to which the idea for the day is to be applied. For this purpose one thing is like another; equally suitable and therefore equally useful. What the text is showing us is that we must constantly learn to question everything that we think we know about anything. As we release what we think we know, it opens each of us to the possibilities around us. When we close our minds and think we already understand and know everything there is to know, we are left closed to the potential of more learning. We close ourselves off from more change. We block ourselves from the holy shift. I am honest with myself and I recognize that I don’t know what anything truly, really means. Because I am honest and questioning everything, I am open to being led toward what is real. Real health. Real love. Real peace. Yes, out of this openness comes my abundance. The senate in Canada just released a damning report this year about how Canada’s recently overhauled food guidelines are still woefully inadequate and includes wrong information to combat the obesity crisis. The Harvard Business Review determined that badly needed health care reform and healthy innovation in the United States is being held back by consumers themselves. “Armed with information gleaned from the Internet, consumers disregard medical advice they don’t agree with,” warns HBR. Because the patient thinks his or her idea is right and doesn’t want to release that idea, they often harm their own long-term health. Imagine what the health and wellness field would look like if these politicians, patients, doctors and policy makers had been honest at the very beginning to say, “We don’t always know, and so we release that.” Instead, they held on to their perspectives and tried to make it real for all of us. In our stubbornness, we cling to the illusion, which in turn stops progress. How much damage was done by not releasing these misplaced perspectives? How many opportunities for healing and health have we missed as a collective society because we have collectively held on to a specific perspective? This applies to each of us on every level of our experience: Spirit, mind and body. By releasing our belief that we already know everything, we are opening ourselves to change when and where we need it most. It sets the foundation for us to experience positive growth, whether that’s a new way of eating or a new way of feeling. Give yourself permission to release long-held beliefs and be open to new ways of thinking that let you feel the things you want to feel. Question deeply held beliefs you may have about diet and weight loss and exercise and any other elements of your physical health. Research and advice changes often. We’re constantly learning new ways of movement, new ways of nutrition, etc. What we personally think is “best” may no longer apply.